Every year more communities insist on automatic fire sprinklers in more types of new construction. It is not just big office buildings and factories, many towns now call for fire sprinklers in all new home construction. This has created a demand for skilled installers, a demand that won’t run out for years to come. Sprinkler installers, install, and test automatic fire sprinkler systems and components such as sprinklers, piping, and valves. They know local and national sprinkler codes. The average length of a sprinkler fitting training program is four years. In an apprentice program, you can earn while you learn, and your paycheck will increase as you progress through the training program. The construction industry is one of the nation’s largest, employing more than 6.9 million people. Installing fire sprinkler systems is a great way to work in construction without having to work outside in the weather. Installation is usually done after the outside walls are finished, so you can work in environmentally controlled conditions. The most important thing that installers do, is save lives. 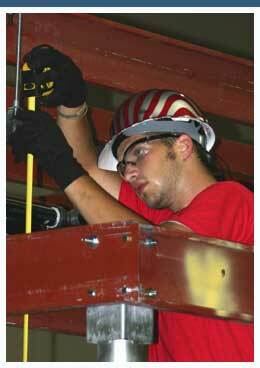 Read these stories about people like you whose career started in the fire sprinkler industry.